Click the button below to add the Acne Manuka Clear Treatment #Manuka Acne Treatment# to your wish list. Your acne treatment may be antibiotic resistant, or your skin may not respond well to existing treatments that are made with harsh chemicals that may make your acne worse. Don’t give up hope. This may be your solution to clear up your skin. First, oil increases in a pore. Second, skin cells that line the pore create a clog in that pore. Third, bacteria begin to grow. Finally, the skin responds to the bacteria, causing the inflammation which results in a pimple. Manuka is considered antibacterial, antifungal, and anti-inflammatory. Its antimicrobial properties penetrate to help unblock pores, leaves skin looking clearer and fresh. Supercharged ingredients such as Karanja and Red Thyme help to improve and restore your skin naturally. Chamomile with nutritive Vitamin E soothes and calms red, inflamed skin. I love this product! Seriously, this stuff is awesome. I had about given up hope of finding a product that worked but this does! Manuka who knew about this? I have bad acne along on my chin and nothing seemed to work until this. It also didn't dry out my skin as other products do. This seemed to reduce the amount of oil on my face. My skin is finally looking the way it should. It’s pricey, but this acne product is totally worth! Thank you. Our Manuka Clear Treatment is formulated with the purest ingredients found in nature to help soothe, calm breakouts for the appearance of beautiful, healthy skin. This manuka is truly a godsend! I've used it during the first signs of a breakout and it's cleared any breakout and prevented any further breakouts. This serum is a game changer! It'll last a long time because you only need to use a little bit which makes much more affordable than the other acne treatments that I was using. This helped reduce the redness and inflamed area. Almost like my skin was healing itself. I am impressed, thank you. One word, Incredible! They did not disappear overnight but in one week my skin was cleared up. I've always had sensitive skin, which is drying out and can't use most acne products without causing redness and peeling. This doesn't irritate my skin at all and leaves it smoother and fresher looking. Hands down the best acne treatment I've ever used. I'm in love with this! Red Thyme Essential Oil is known to be one of the fastest oils to kill bacteria and also has anti-inflammatory properties. Basil Essential Oil is a native remedy for blackheads, blemishes and it prevents breakouts. Rosemary Essential Oil protects skin cells from damage caused by the sun and free radicals and it contains nutritive anti-septic properties. Geranium Essential Oil was used by the Egyptians to promote healthy, beautiful skin by treating breakouts and reducing inflammation. Camellia Seed Oil is a quick absorbing oil that won’t leave an oily residue on the skin. It contains Vitamins A, B, D, and E, and omega-9 which helps moisturize the skin. Manuka Oil lowers the growth of bacteria from developing on the skin with its antimicrobial and anti-zits properties. 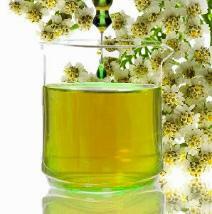 Tea Tree Oil has potent antibacterial properties that will treat pimples and clear breakouts. Jojoba Oil is helpful in lessening the overproduction of excessive oil by the skin, since it is considered to be the one and only oil suitable for oily skin. It’s recommended to apply the Manuka Clear Treatment on clean, washed skin for the best results. Apply a small amount (approximately 1-2 drops or as needed) on a clean fingertip and massage on the affected area. • Wash skin with lukewarm water to prevent it from drying out. • Use this product at night and focus on the areas where blemishes occur. • Apply a moisturizer after using this product to avoid drying out skin. We suggest our Clear Facial Day Cream. I have been using your Manuka oil and Blemish facial day cream for about a month now, and wanted to let you know how impressed I was with these products!! I have very dry and sensitive skin, but am also prone to blemishes. After a month of using these 2 products, I have noticed my skin texture has improved, my pimples flare-ups have decreased, and my pimples scars are fading! This is the first time I have found products geared toward blemishes product that don't irritate or further dry out my face. I am definitely purchasing more of your products! Thank you for your commitment and dedication to nutritive skin/hair care product! 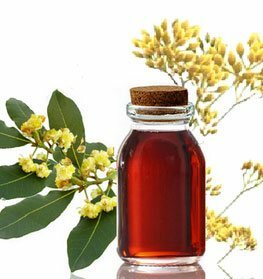 I found your special Manuka oil on the screen and I bought some. The oil works, and I no longer have these pimples on my face, it is wonderful. I have dealt with blemishes problems for years, and nothing I used ever seemed to help. I am so happy I decided to go online, as your product has helped me so much, after using for just a few weeks, my pimples has cleared up. Love love this product. I use it for breakouts on my shoulders and back, my 19 year old son has been using it as well and I can see a huge improvement in a short period of time. Am about to re order so we do not run out. Very impressed and love the way it smells! This product is unreal.I love how I can apply this product on my blemishes and the couple nights it will literally be gone. I love this so much that I bought two for myself and one for a friend who has severe breakouts as well. Great for my face!! Best stuff I have ever used! I come from a family with a long line of cystic acne and long term hormonal acne issues. I had pimples, and I mean deep rooted, inflamed, painful ones, everywhere! Once I discovered Manuka oil... It truly changed my life. In less than 2 months I was almost cleared up, and the stubborn ones that lingered were less red and not as painful. Eventually they ended up going away as well, and I've never been happier! I use this oil regularly when my hormonal acne acts up. It speeds up the duration of my breakouts to a more managable and noticably less obnoxious one. while it is a little stinky, it works! I have been using your Manuka oil and acne facial day cream for about a month now, and wanted to let you know how impressed I was with these products!! I have very dry and sensitive skin, but am also prone to acne. After a month of using these 2 products, I have noticed my skin texture has improved, my acne flare-ups have decreased, and my acne scars are fading! This is the first time I have found products geared toward acne treatment that don't irritate or further dry out my face. I am definitely purchasing more of your products! Thank you for your commitment and dedication to nutritive skin/hair care treatments! This treatment is unreal.I love how I can apply this product on my acne and the couple nights it will literally be gone. I love this so much that I bought two for myself and one for a friend who has severe breakouts as well. I have use a lot of products for acne but this really work I will buy it again. I found your special acne Manuka oil on the screen and I bought some. The oil works, and I no longer have these pimples on my face, it is wonderful. I have dealt with acne problems for years, and nothing I used ever seemed to help. I am so happy I decided to go online, as your product has helped me so much, after using for just a few weeks, my acne has cleared up.